• If the snow is deep, clear the outside vents of your furnace or other natural gas appliances. This allows air flow necessary for safe operation. Blocked vents can lead to a dangerous build-up of carbon monoxide inside your dwelling. • Clear any accumulation of snow or ice from the area around the gas meter, providing a path for UGI personnel who may require access. Please work carefully around your gas meter. Keep snow blowers or other powered equipment and snowplows away from the gas meter. • For your personal safety, stay indoors as much as possible. When outdoors, wear warm clothing and cover exposed skin. Use multiple layers to maintain warmth. Seniors should take extra care outdoors to avoid slips and falls from icy conditions. • Remember that an electric power outage will affect furnace blowers and electronic ignitions. If your gas heater does not relight when the power returns, turn the unit off for a moment, then back on. If it still does not light, call a heating professional for service. days a year. Your safety is always our top priority. • Assume that wires are energized and don’t touch them. • Stay away from fallen wires and warn others to keep away. 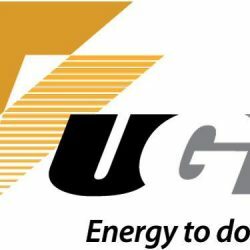 UGI Electric customers should call the company at 1-800-276-2722 and the police immediately. • If you depend on medical equipment for life-support, UGI recommends that you check your back-up power supply or arrange to stay with family or friends. • If you use a generator during an outage, follow the manufacturer’s instructions on proper venting and operation. Never operate a generator indoors, in your garage or basement, or in an enclosed space. • If you are a residential customer with special needs and have an emergency, contact your regional 911 center. Special needs customers calling UGI to report an outage should identify themselves to the customer service representative. UGI can provide information to assist you in connecting to your local 911 center. • Telephone numbers for emergency services and your utility companies.